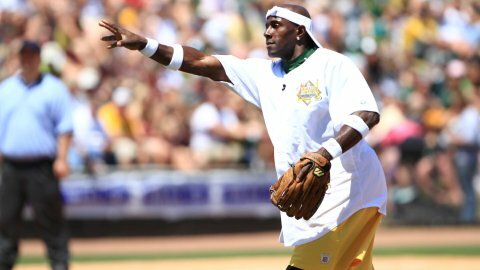 GRAND CHUTE, WI - Time Warner Cable Field at Fox Cities Stadium will host the 2013 Donald Driver Charity Softball Game sponsored by Kwik Trip for the sixth straight season. The offense and defense of the Green Bay Packers face each other in a softball game at the newly renovated home of the Wisconsin Timber Rattlers on Sunday, June 16 at 1:05pm. "I am excited to host the game again this year. It is a special time for fans and players to enjoy each other while raising money for some wonderful causes," said Driver. "My wife Betina and I are thankful for the loyal fans who continue to support the Donald Driver Foundation. Hopefully, the defense will put up a bigger challenge to our offense this time."